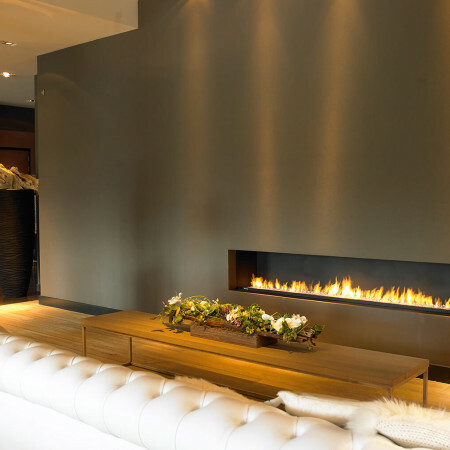 A beautiful designer interior is brought to life by this modern hole in the wall fireplace with a 2.6m wide opening that incorporates an amazing 2.4m wide dancing flame burner. This particular 2600 black fireplace has been enclosed in floor to ceiling black glass decorative panels and incorporates a TV behind the glazed panels. The fire itself is completely remote control operated and with different size units available – 1m, 1.5m,2m and 2.6m – it can be installed into very large spaces for maximum impact or equally smaller ones. 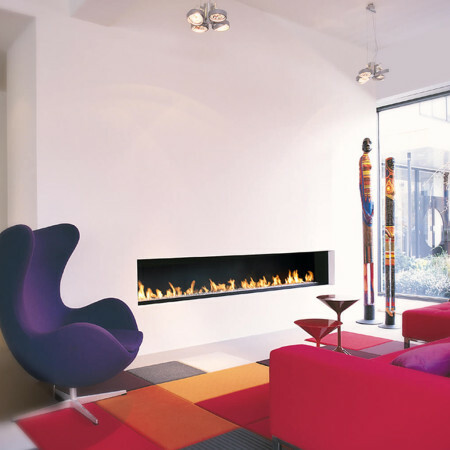 For technical or design information about this modern gas fire, please get in touch.